Where to start writing about the transfiguration of Google? Find myself unvoiced. Well, the biggest search engine eminent has come around 6 years ago with own operating system to dispense life in smartphones. It is a technology which has gained popularity at which speed, no one can achieve. Google came into light with Android platform at the time, when iOS was the diadem for mobile market. The endeavor of Company didn’t end over there. That time had been begun for the Mountain View giant to struggle with the world, for convincing them to believe on their green hypothetical being. And, now Android is here with pretty astounding features. So, wonders will never cease with Android’s every new invention! To sentient the saga, I’m trying to make a little effort to pen them here. And, when reviving the pages of history, what I’ve found, was October 2008. 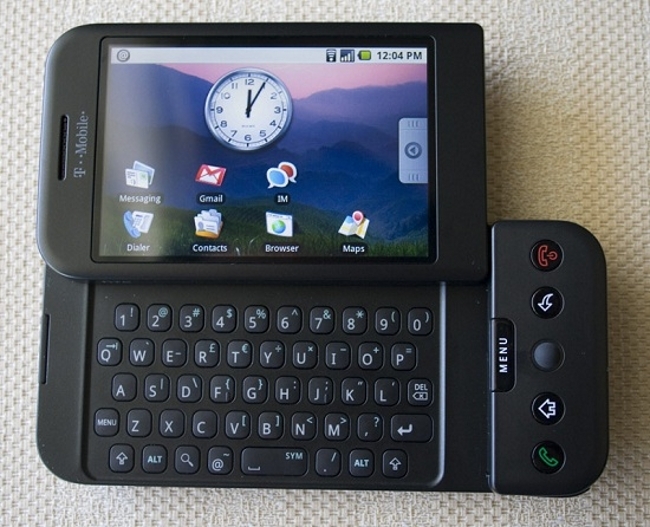 The Year, when HTC’s T-Mobile G1 came with Android support in United States to begin the Android era. Going more deep inside the history and I’ve hooked up seeing that Google bought Android from Android Inc. in 2005 and later made its first smartphone. That was surely not as cool as today’s. But, with few apps and pull-down notification panel, the HTC’s phone had been entered in the market. After going through more pages, a page will definitely make you stuck for telling about its nature. The environment of the platform is open source which gives users the flexibility of modifying the code. It is comprised with operating system, middleware, user-interface and applications. This was not the end; the OS had never stopped to modify itself with intelligence and humor skills. And, now Android has become the prominent name in the mobile market, acquiring the large space with its bizarre naming convention. Yeah, the naming convention which seems very freaky and stupendous, but has adored by its all names as every new version got some kind of dessert name. One more maggoty thing you’ll never be noticed in this OS that is the alphabetical order of its every version’s name such as Cupcake, Donut, Éclair, Froyo, Gingerbread, Honeycomb, Ice Cream Sandwich, Jelly Bean, KitKat and the latest one L.
The first Android version which hadn’t received any name came in the smartphone world in 2008. HTC was the first one who made efforts to bring this support in T-Mobile G. This version was capable in multitasking, and supported GPS and Bluetooth along with integrated Google services like Gmail, Google Maps (with Street View), Google Calendar and Android Market. But, it lacked in Microsoft Exchange Server and camcorder. To remove this discrepancy, Google had launched Android 1.1 version in February 2009, again with no name. However, people called them as Angel cake and Battenberg respectively. 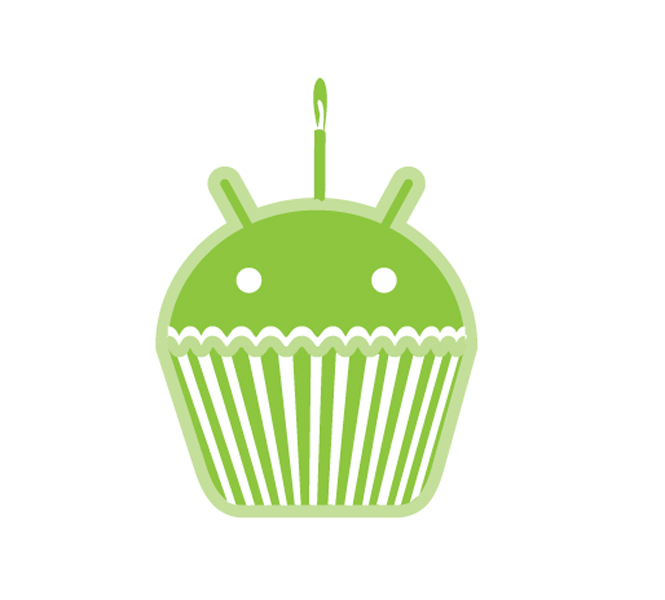 First one in the league which had received a codename, Cupcake as Google decided to bring every Android version with a dessert name. Though, company had planned to open up this version as 1.2 but later thought to make it a big revision of previous one with lots of new features and updations and made its Android version 1.5. It was released on April 2009, with some painstaking features like Universal search box, Revamped Android Market, integrated photo gallery and camera with bulk photo deleting and many more along with gestures and voice-to-text support. 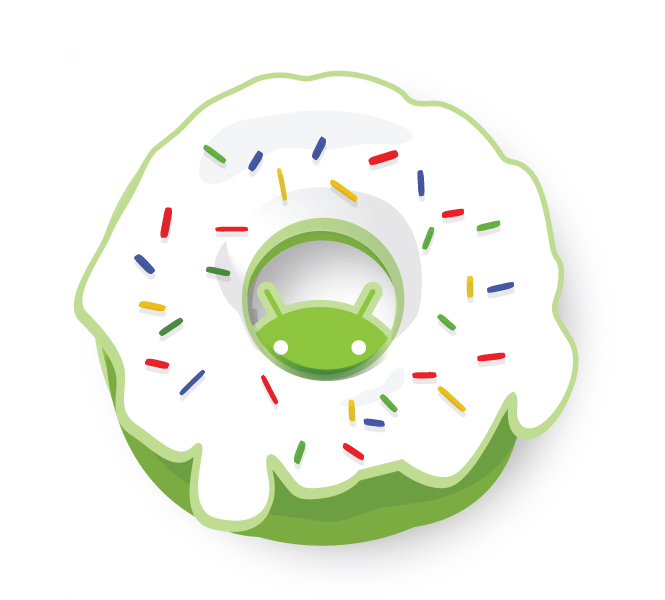 Donut was the next name for the next version of Android which was launched in September 2009 with a number of new features like Virtual onscreen keyboard, Stereo Bluetooth, Android Search which was allowed users to search any specific item, app and contacts saved in smartphone using some proper code. An option of direct uploading to YouTube and Picasa was also added in that version with new GestureBuilder development tool. That wasn’t the end for the upgradation in version 1.6 as it has Google turn-by-turn navigation, handwriting gestures and many others. This was launched in October 2009, just after a month of Donut appearance. With more advance features and more updations, this dessert had been served for smartphone enthusiasts. Adding more count of camera-oriented features in this version of Android platform, Google did its good. Improvements in virtual keyboard like Adaptive dictionary, Bluetooth 2.1 support, multiple user accounts, Quick Contact, live wallpapers, five home screens etc are some other features of this OS version 2.0/2.1. Users were also able to search a specific SMS and MMS using speech-to-text option. 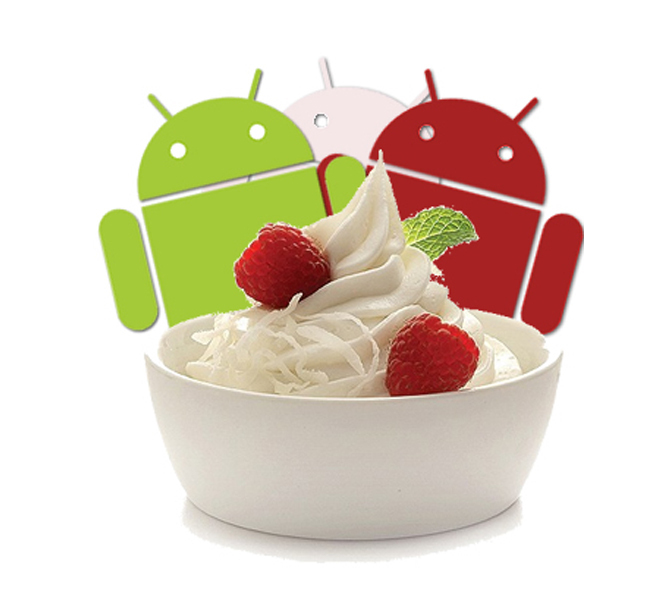 Froyo had entered in smartphone OS market in May 2010. That year, Google’s platform tasted more flavors and fixed several bugs of the previous. The synonym of Frozen Yogurt suited perfectly for this version because of its compatibility with Linux Kernel 2.6.32. This version brought the concept of installing apps on SD card instead of inbuilt memory. This feature gives users a power of managing the phone and SD card memory adroitly. The presence of Adobe Flash 10.1 blessed users with one more option of watching videos. USB tethering and hotspot, calendar sync, remote wipe etc. are some more features of this dated version of Android. 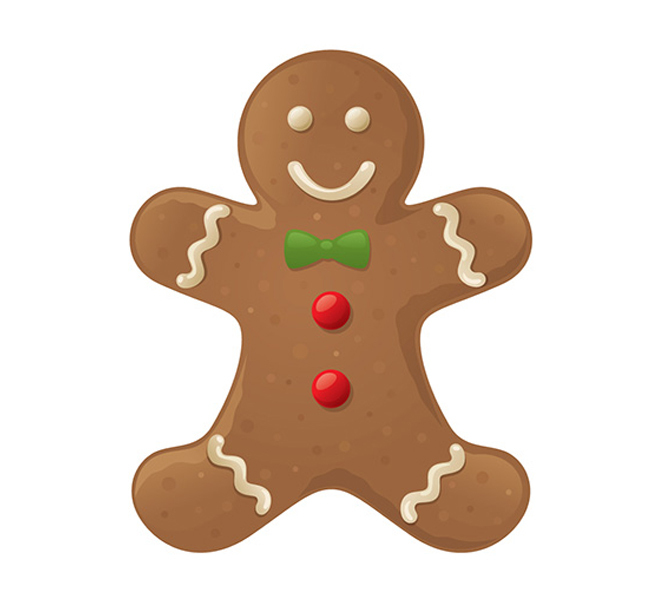 December 2010 release; to gain more power, more performance and more memory, it got the name- Gingerbread. This Android version was capable enough to bear the large screen smartphone and a high resolution. Though, it came with very few changes, but gained lots of success and praised by everyone for its improved features like improved copy/paste (Eg. adding word-by-word highlighting), improved keyboard, front camera support and camera apps, reformed battery and app management tools and many more. Samsung Nexus S was the first handset which was based on the Android Gingerbread OS. This Android version came for tablet devices. 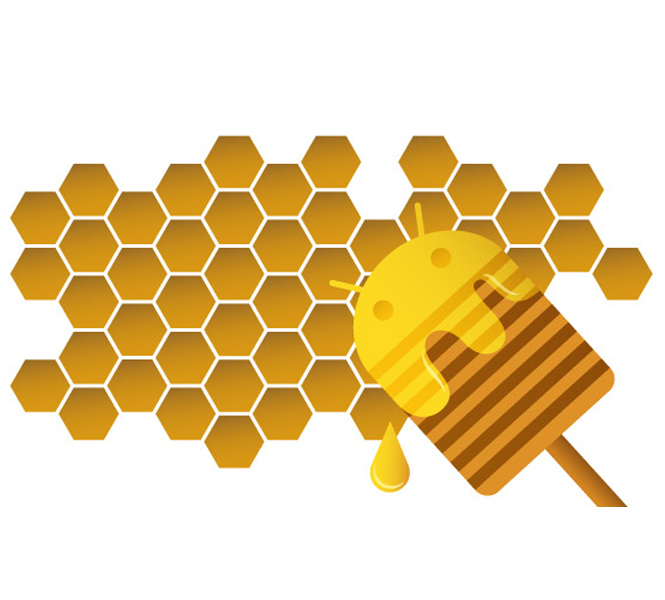 The aim of Google to introduce Honeycomb was just to meet with the exigency of tablet. It was launched in February 2011. Two more updates 3.1 and 3.2 also came for the same after bug fixes. Optimized Tablet UI was the main focus of this platform which came along with refreshed widgets, 3D graphics support, Video chatting with G-Talk, Bluetooth tethering, multiple browser tabs etc. The Address book also be revamped with Dual pane modes. 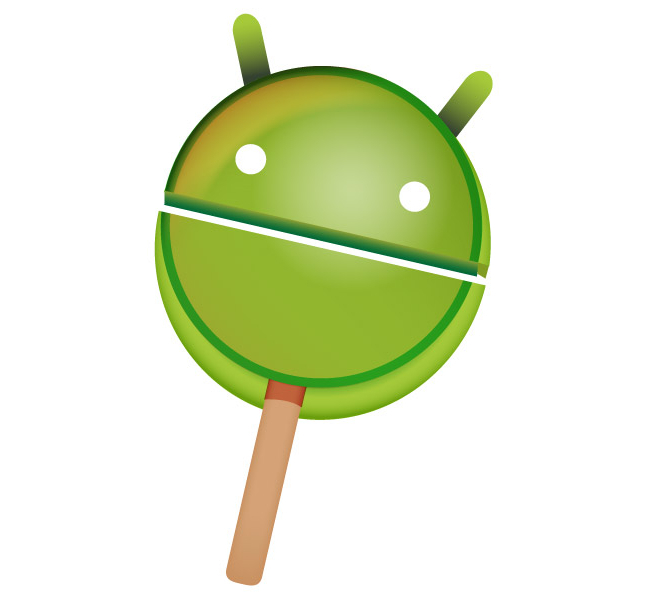 As every age of people like Ice Cream, this version of Android was also loved by every age group’s smartphone users. After arriving in the Android world on October 2011, it has been lured for its much improved features and Interface. A huge number of new updation had been introduced in this to make people addicted of Android based devices. 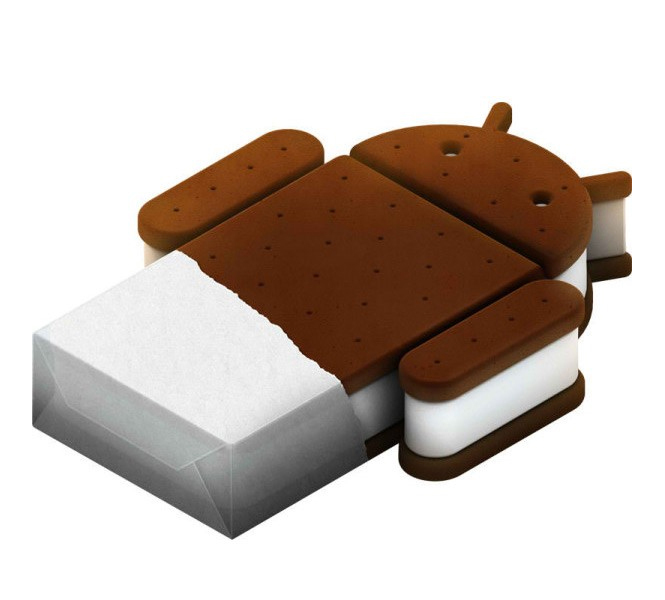 This made Google proud and exerted smartphone enthusiasts to bring the Android Ice Cream Sandwich based smartphone home. Virtual buttons, improved copy and paste, Face Unlock security feature, icons for hiding unwanted apps, Native camera features with Face detection, NFC feature and many more; there was no end for this version’s revolutionary features. This was the time when Google had started to grow along with its Android platform as a big success. Android had been achieved enough value till that time. And, it didn’t require any efforts to prove its significance. With lots of original and innovative features, it was announced on June 27, 2012 at Google I/O conference and then released for public on July 9 2012. 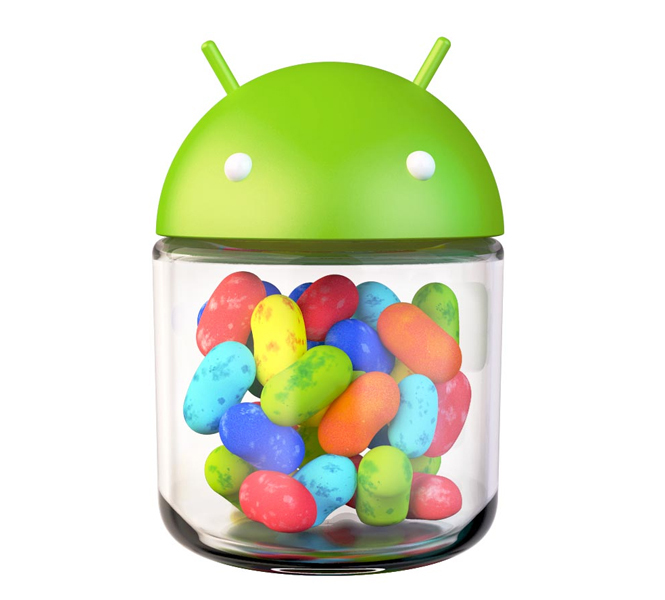 The first device which runs on Android Jelly Bean was Nexus 7. More improved UI and accessibility options along with several other new features like Higher-resolution contact photos, smoother performance, Google Now, Location tracking with Wi-Fi etc are loaded in the OS. The latest one followed by several new updates has been won the smartphone market with its great interface and features. It was introduced on October 31, 2013 and came with 4.4.1, 4.4.2 and 4.4.3 and 4.4.4 updates. 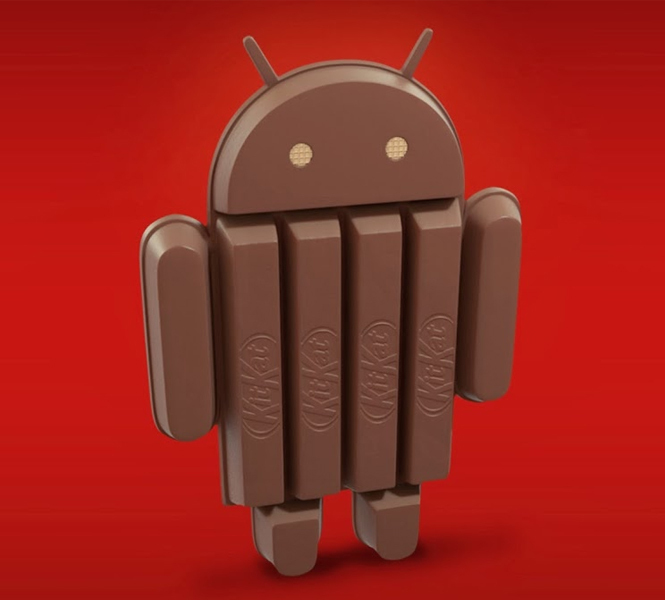 Even the Android 4.4.4 KitKat is still new and waiting for rolling out in older devices. The revolution has been reached to the peak when company had brought this innovative version of Android. This made the OS to run smoothly on a low-end device. Google Nexus 5 was the first device which came with this revolutionary OS. To make the Android faster, more potent and more interactive with amazing features, Android KitKat came with lots of visual enhancements. This version brought transparent notification bar, a new app store, new dialer, colorful emoji characters, HDR+ support etc. This version also added Google Now to home screen. 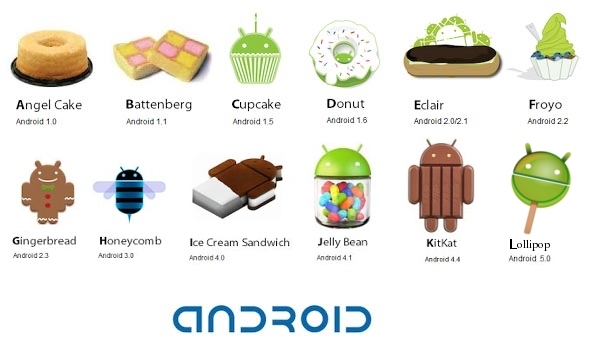 The newly announced version of Android is still in mystery for its name as it has been labeled with Android L only. “Lime Pie? Lollipop? Lemonhead?” We haven’t any idea about the name what it will receive. But, we have the information regarding its features. 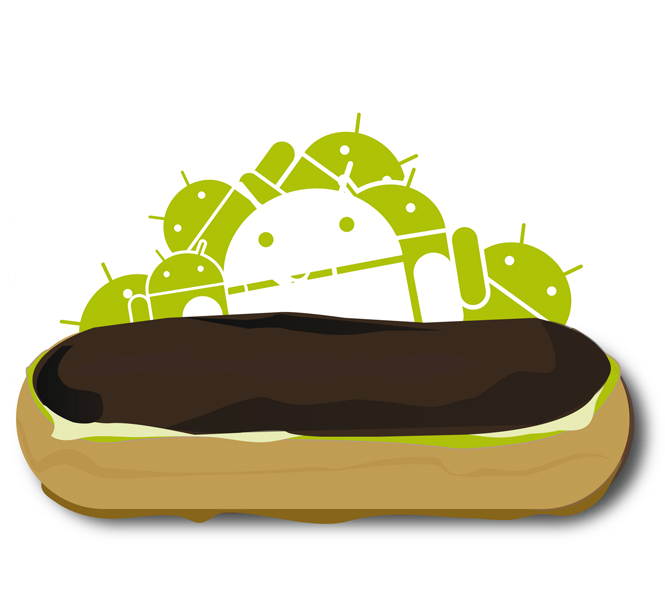 It was announced in Google I/O Conference 2014 which we can say a complete new version of Android. This has changed UI totally with a new concept “Material Design.” Improved notifications, more security features have been added to leave the iOS behind. It will also bring Project Volta, a complete new addition for battery improvements. To make the place of Android everywhere, Android TV, Android Wear and Android Auto are also bundled in yet-to-be launched Android L.
Over past 6 years, the Android’s little green hypothetical being has been grown, adding more maturity. And, today it has become a big player in the smartphone industry. 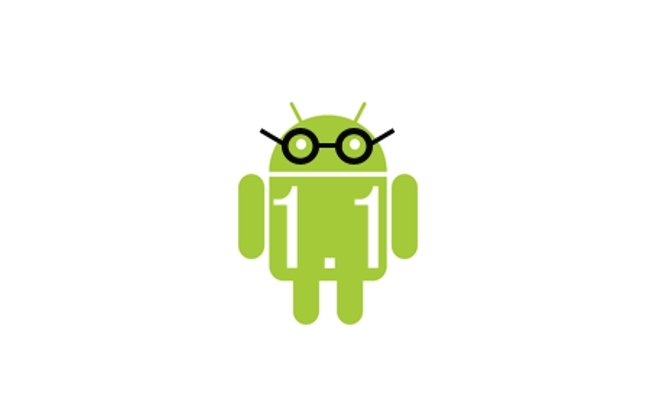 Google has finally reached to the pinnacle, adding its lots of innovative ideas in Android. It’s just beyond our expectation and limit to take you to the future. So, I’m ending here the “Journey of Android,” from G1 to Android L with to-be-continued; for never to end.